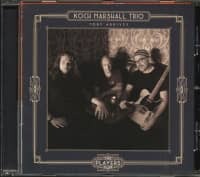 (The Players Club) 8 Tracks (50:52) - At the heart of this organ trio is a blues sensibility - but Koch's compositions are an amalgam of rock, funk, jazz and country served up with heavy grooves and dynamic improvisations delivered with no small dose of humor and occasional wild abandon. 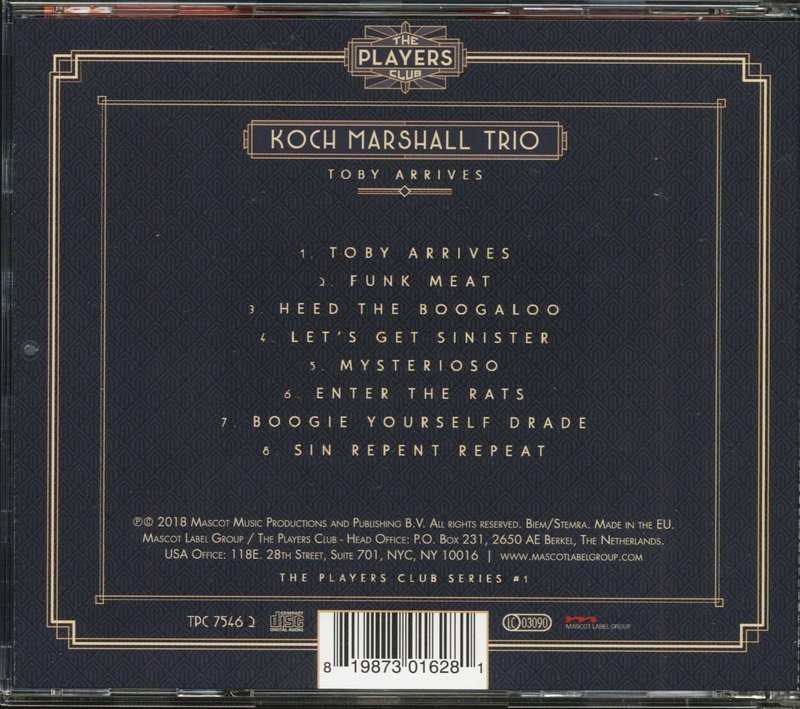 The trio blends the explosive guitar manipulations of Greg, the groove-centric, power-pocket playing of his son Dylan on drums (who share many telepathic musical moments) and the glorious, Hammond organ stylings of the uber-talented Toby Marshall, Greg’s compositions are properly portrayed in the blues drenched, funk, chicken-fried, gospelly, jazz-rock panorama in which they were conceived. Their first release, “Toby Arrives” the first moments of their unexpected musical partnership captured at an extemporaneous jam session earlier in the year. Customer evaluation for "Toby Arrives (CD)"